GREAT SNOWMOBILE TRAIL ACCESS. This is a SHELL/UNFINISHED INTERIOR cabin. Buyer to finish interior. The lot size is approx. 1 acre. It has underground temp electric, needs breaker box installed.Nat'l gas installed. Well drilled (has very low flow rate) may need new well drilled. Sewer tap paid & sewer line installed & stubbed in from sewer main to crawl space. Some framing is complete. 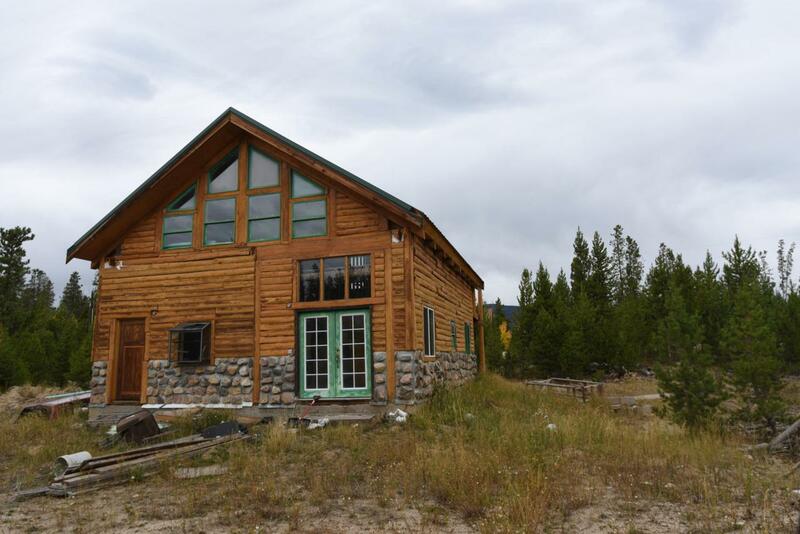 Finish to your liking to be that adorable mountain cabin you've always wanted! 10' x 10' Shed on property. Need creative financing or cash to purchase. Owner financing negotiable with acceptable terms & large down payment.